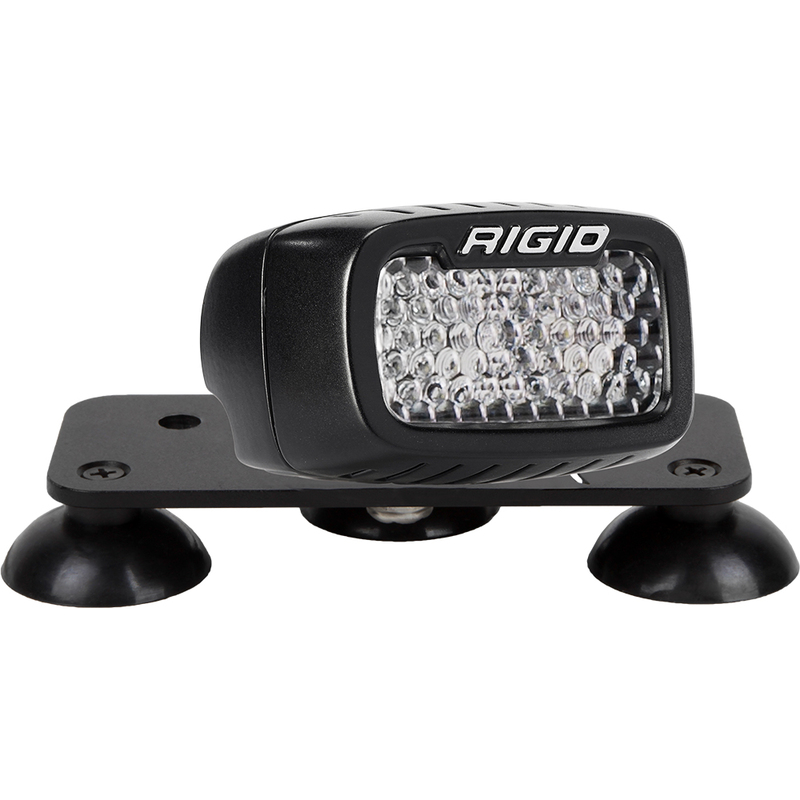 This RIGID Industries UV Black Light Kit features an SR-M2-Diffused-UV LED Light, a Suction Cup Mount Kit and a 12v Cigarette Lighter Adapter. Whether you’re a professional angler or you just enjoy night fishing, the RIGID Industries UV Black Light will help make any night-fisherman’s next outing a success. The UV Black Light Kit will illuminate your fluorescent fishing line, making it easy to detect those subtle bites and let you see where you’re casting. The Suction Cup Mount Kit allows you to mount the UV Light to the side of your boat without drilling any holes. The 12v Cigarette Lighter Adapter will power the kit in any situation and features a built in switch.